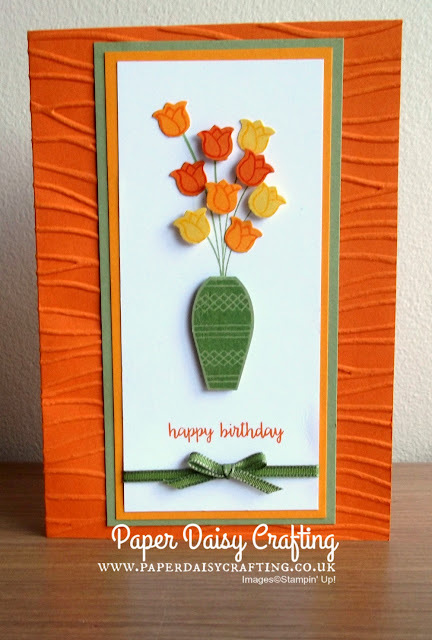 Hope you saw my post yesterday when I shared this card as my contribution to the Pootler's team blog hop? I had such fun making this card. And as promised I have recorded a YouTube tutorial so you can have a go at making your very own card. I used a different colour scheme for the card in the video: Powder Pink, Flirty Flamingo and Melon Mambo. Hope you like today's project and will have a go at making one of your own.